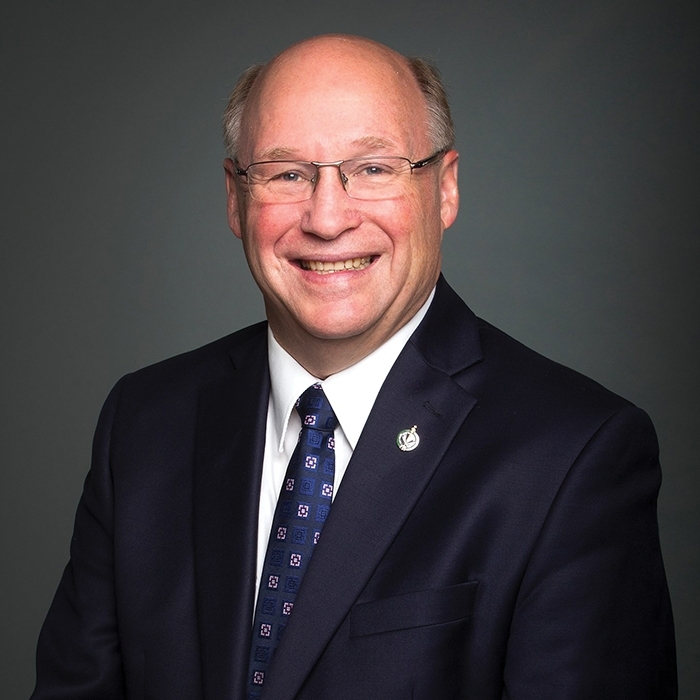 Dr. Robert Kitchen, member of parliament for Souris-Moose Mountain, spoke with Kevin Weedmark about the recent federal budget. What is your takeaway from the budget? Well there was a lot of preemptive hype which showed up with no substance whatsoever within the budget. It continues along the never-ending spiral of deficit budgets and huge additions to our national debt. You have a government in place that campaigned on running only a small $10 billion deficit and to have a balanced budget by next year based on what they campaigned on, and at this point and time right now they have added $64 billion to the debt, and this present budget is going to be $18 billion plus, which is three times the amount that they said it should have been when they campaigned. What do you think was missing from this budget? A lot of what’s in it is looking at spending money we don’t have. They are still going forward with spending $500 million on a foreign infrastructure bank which we wouldn’t be doing. $500 million dollars on a foreign infrastructure bank to build infrastructure in a foreign country, those are things that we should not be doing. They are going to spend $109 plus another $20 million, so $129 million, on implementing the carbon tax, putting in place basically carbon cops, if you want to call them that, to make sure that the tax is being paid. That’s more money than we spend on our RCMP training. When I look through this budget, some of the individual items I have a hard time understanding the cost of, such as the $81.4 million to come up with a redress system for the no fly database that has 1,200 names on it. As a politician do you have more insight where these costs come from? I look at those numbers and sometimes wonder and shake my head and say where are these numbers coming from? They’re going to spend $173 million dollars for our Canada Border Services to basically support the security operations and process in these asylum claims that are arriving here in 2018/19. The document doesn’t show how they’re spending it. It doesn’t break it down that far. At this point in time the assumption would be on housing, on compensation processing, processing security screening supports, that sort of thing. I see the cost of hosting the G7 is pegged at $594 million—that’s twice the cost of building the Saskatchewan Children’s Hospital for one meeting in Quebec. Any insight into that? I actually did not come across that one yet. The document is basically two books, and the big one is basically over 370 pages. I missed that one. I’m going to have to look up that one! Business groups had lobbied hard against some of the business changes proposed last summer, and this budget has a whole new approach to taxation of passive income within a corporation. What do you think of their new approach to passive investments within a corporation? The small business tax which they tried to foist on Canadians last year, they tried to sneak that up on people, and the public and the small business people as well as the Conservatives got up and we brought this to their attention. And they backpedalled on it and in fact doing that backpedalling, they turned around, because they campaigned in the last election that they would reduce the small business tax but when they got in power they actually stopped it and did not reverse at all and actually kept it higher. Now because of the backpedalling they did on the issue with small business they came back and said let’s try and sweeten the pot and we are going to go back to lowering it to that nine percent. But we won’t do it until next year and then will do it incrementally to have it to nine per cent by the time we come up for re-election. And Canadians will need to remember that’s what they did. Now what they’ve done with this budget is come up with another plan and another way at looking at this, and so to my constituents and small businesses credit they’ve managed to get them to back down on this part. But now they’re coming back to them to say well we’re going to try it a different way. They’re going to base it on their capital assets. If you have a business capital asset of $1.5 million and then if you have passive income of over $150,000, you won’t be able to get that nine percent small business tax rate, so again they are using smoke and mirrors to try and find ways to do it. We need to get the whole document and all that information, and we have to go through it more and more—we need to go through it with a fine tooth comb to make certain what are all of these steps are going to happen. Are you much clearer after the budget on how that is going to work? No I’m not because of the aspect of this passive income. That part varies. If you’ve got a certain amount of income between $50,000 and $150,000, your limit for the small business deduction comes down. I need to talk to an accountant to understand it. That is what people need to do, is talk to an accountant because they can explain that a lot better then I can! Are you hearing much from people in the riding about this budget so far? I’m hearing a fair bit but not a lot from constituents yet. But I don’t think they’ve taken it all in at this point of time and I anticipate over the next couple of days we will hear a bit more. Have you been able to talk to many people in the constituency about this? Just some who know me that send me a few comments. I haven’t talked a great deal about it back in the riding. I anticipate come next week that I will sure hear a lot more about it. The unfortunate part about it is, as I said about the carbon tax issue, in the budget they’ve set aside $1.4 billion to give to help invest in projects that will reduce greenhouse gas emissions, but it’s only going to provinces that have signed onto their climate program, and Saskatchewan has not signed onto that climate agenda, although we have a climate agenda of our own, but we’re basically cut out of that aspect. Saskatchewan is going to be denied any access to that because we haven’t signed on, on principle. The province hasn’t signed on, so we’re basically being blackmailed—if you want any of this money you got to sign their agreement, and yet you have the four maritime provinces who have signed that agreement who are getting funding for all sorts of projects, yet not one of them has a carbon scheme, not one of them has anything in place. New Brunswick in fact has said that their carbon tax is going to be a two percent tax that they already have in place on their gas and they’re going to rename that as a carbon tax and therefore use that as their scheme. To me it is blackmail in trying to get the provinces to sign onto their agreement, and it is going to have a huge impact on our farmers because this budget had nothing in it about the rural economy. It had nothing in it for our farmers. The only thing that was there was dealing with rural broadband aspect. Instead of talking about issues and coming in with dealing with the issues like the 40-50 percent tariffs that we have on chickpeas and canola that India’s put on, which Trudeau should have done when he was in India which he didn’t do—he didn’t even take his agriculture minster with him to talk about that aspect but he got lots of photo ops with a convicted assassin—but does he go in and attack that part to protect our farmers? Has he done anything where he might be able to put in some legislation to allow for our farmers to move some grain to market? Instead it’s sitting here. There are ships sitting in Vancouver that can’t access it. The demurrage costs are coming onto our farmers, that’s the sort of thing that should have been in this budget. Do you think the budget did anything for some of the problems faced by Canada right now—the threats to NAFTA, the suddenly much more competitive business tax rate in the States. Do you see anything in there to address these? Nothing at all. There is nothing in there to even look at that aspect. Here we are sitting in Canada with the interest rates as low as they are. The dollar is low as it is and we have high commodity prices and yet they are still spending $18 billion over their budget. They are spending all this extra money, and what are they going to do when/if NAFTA fails? There is no contingency plan in there. How much are they going to spend when that blows up, if it blows up? That is a big concern. We are spending all this money in good times, what are we going to do when times are bad? What are your thoughts on the gender equality part of the budget? There was a lot of hype and a lot of aspects to this that they promoted before the budget came out. The expectation was extremely high and I don’t believe they met that expectation. They talk about some things, bringing in legislation within the government to deal with gender equality and equal pay for equal work. From a women in sport point of view—that is a portfolio that I have been dealing with—they are proposing $30 million to be spent over three years to look at this aspect and how they can bring in more participation and activities of women to make sport equal between men and women. They have taken some steps, but I think it was a lot more than what they have actually come up with. What do you think is going to be remembered about this budget? Nothing. The budget will be forgotten about. It will be the forgotten budget. It’s just going to sit there. There will be other issues that are more important than this, and to me this is just going to be added deficit, added debt, to my children, my grandchildren, and my great-grandchildren. How would the Conservatives’ approach to budgeting be different? Our leader has presented in the house a number of private member motions to help out with families. We will see what the present government will do and over the next year and half and two years. You will start to see Conservatives stepping forward with a budget that reflects all needs of all Canadians.